Need your daily fix of free apps? We’ve handpicked 20 iPhone, iPad and iPod touch apps that are free today only. 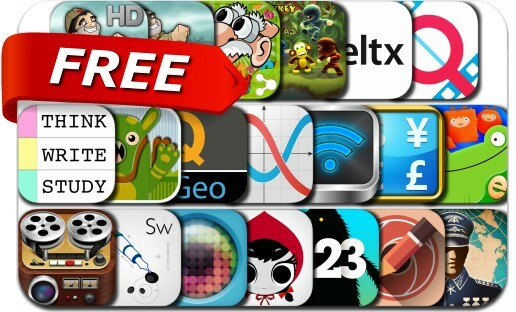 This apps gone free alert includes World Conqueror 3, Quickgets Geo, VideoPix, celtx script, The Lonely Beast 123, Calc It!, Currency Exchange, Sketch Me! , XnShape, Ask Me Colors and Shapes, Sketchworthy, Vintagio, Wireless Drive Pro and many others.